Posted on January 17, 2011 October 16, 2016 , in Atlas Polar, Crane Training, HIAB Crane, HIAB Method Magazine. Most people probably assume that employee and workplace safety are fairly recent innovations, but volume 4 of HIAB Method magazine proves that this is not the case. 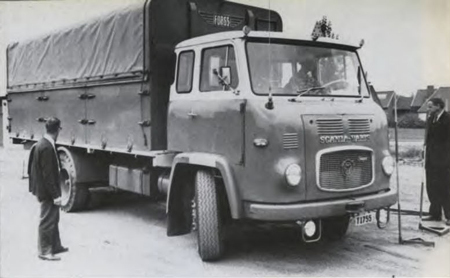 As far back as 1963, the idea of training and safety aids for drivers of large trucks was being discussed in Sweden, and by 1966, a Road Transport Vocational Council had established 14-week training courses. The courses included driver training on a practice track, with special emphasis on trailer work (including testing on backing up with a two-axle trailer.) After completing classes, the driver was given a 5-week placement with a trucking firm. All in all, it sounds like a comprehensive program and it was solidly backed by HIAB. Atlas Polar is another company that knows the value of workplace training. We offer complete crane training courses at our Toronto office, at customer sites, and at various authorized HIAB dealers across Canada. To learn more about Atlas Polar crane training, visit our Crane Training page.